Always enchanting, always changing, our beloved Tel Aviv – the world’s youngest metropolitan – transforms in front of our eyes. 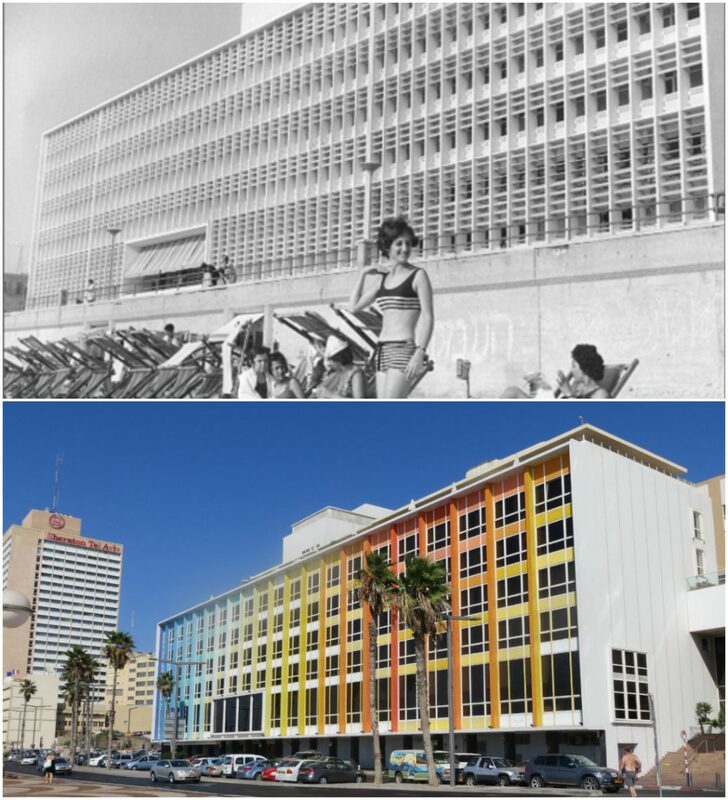 Here are some nostalgic Tel Aviv photos from our historical database, with their 21st century matching images. Did you know? Tel Aviv has been named the ninth-best beach city in the world by National Geographic. Did you know? In 2013, Absolut Vodka introduced a specially designed bottle dedicated to Tel Aviv as part of its international cities series. 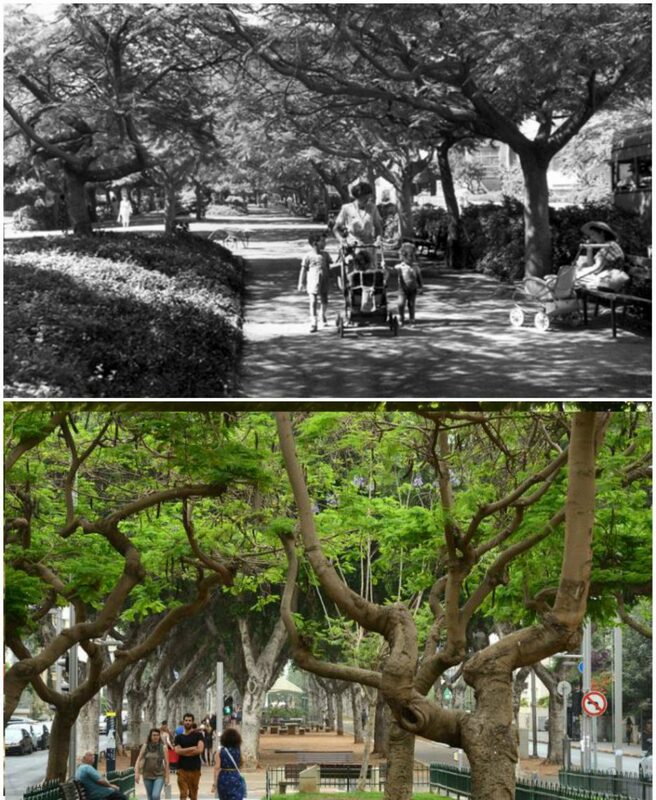 The design, commemorating Tel Aviv’s ficus tree boulevards, was inspired by the night landscape of Rothschild, Nordau and Chen boulevards. ​Did you know? The original building was built in the 1930’s, and started as a small pension called Kaete Dan. 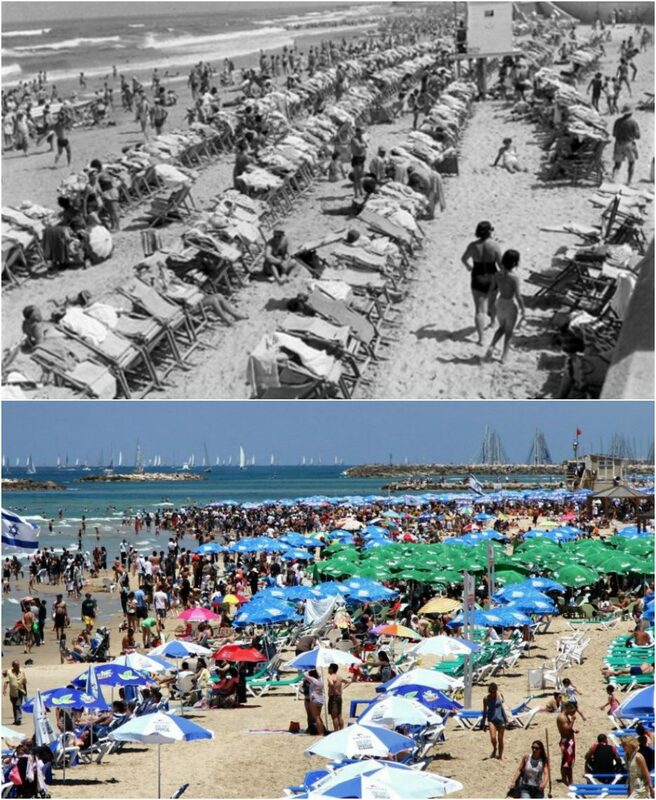 It was the first lodging of any kind on the beach in Tel Aviv. Did you know? 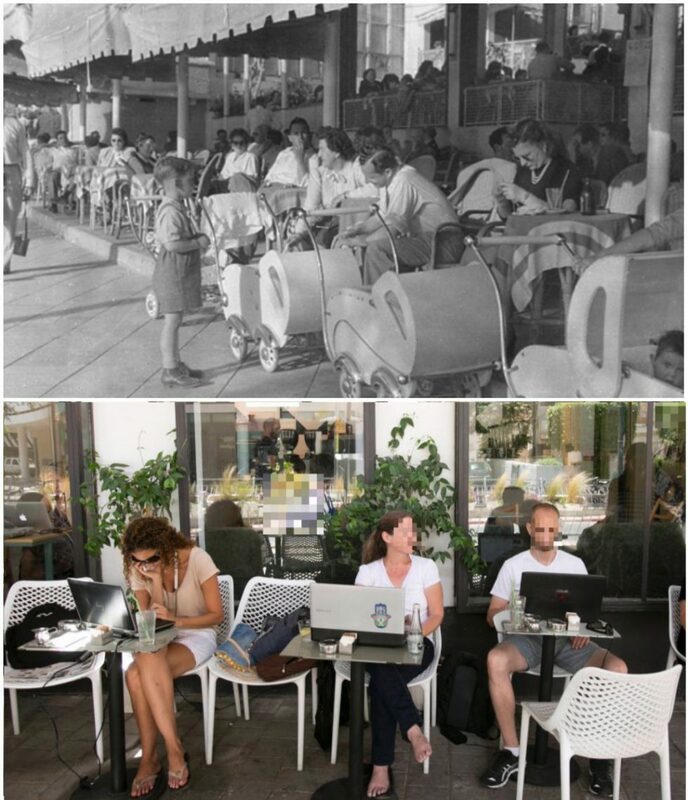 From the mid-20th century and mainly in the 1930’s many coffee shops sprung up along the seashore, following the establishment of exclusive hotels. These coffee shops were designed for rest and pleasure, and some held cabaret shows and shows by satirical theaters such as Af Al Pi, and Li La Lo, etc. Did you know? 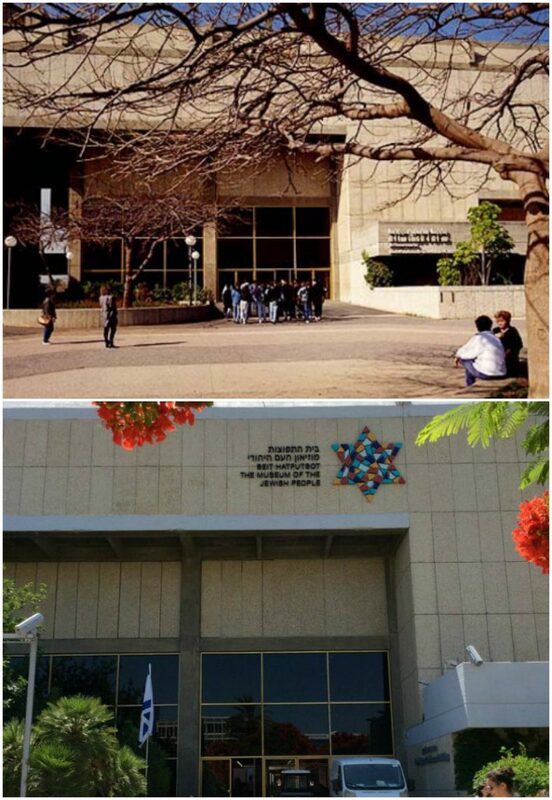 The Museum of the Jewish People at Beit Hatfutsot is undergoing a comprehensive renewal process. In 2019, the renewal process will culminate with the opening of a new 66,000 square feet permanent exhibit.